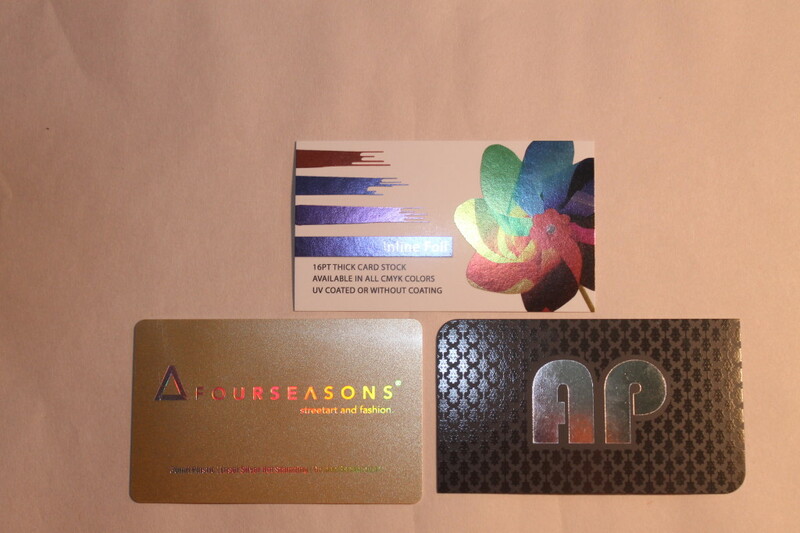 Wholesale Inline Foil Business Cards, postcards, and stickers are offered in full color and full bleed. These prints are silky smooth and durable; meaning, they are tear and water resistant. These unique, custom Business cards, Postcards, and Stickers are attractive and best yet, affordable. All logos, designs, or solid lines should be at least 2 points wide. To avoid quality issues, fancy or curly type styles, finely detailed logos, and very thin lines should be avoided. Foil, not ink, is being stamped onto the finished product, and will behave accordingly. Finely detailed logos, screens, traps, and hairline registration with ink or with another foil are not available. 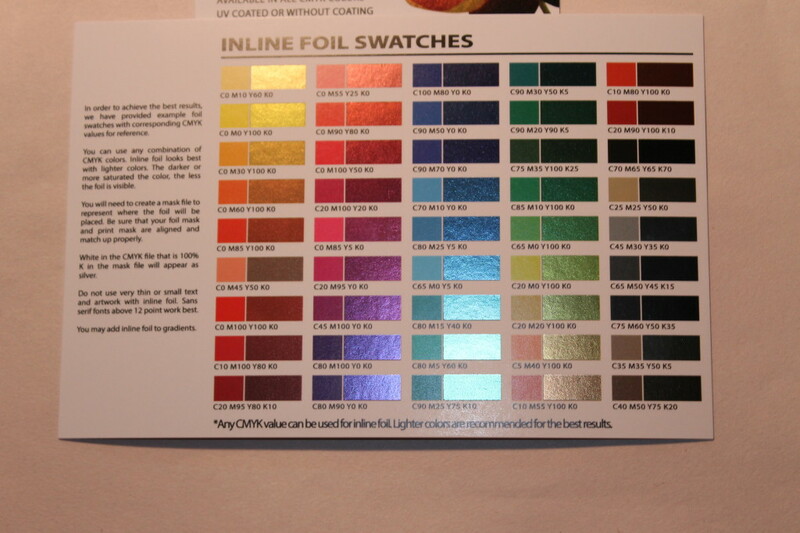 Custom foil stamping is available on all paper stocks, alone or in combination with thermography or flat spot-color printing, and with 4-color printing. This entry was posted in Business Cards, Postcards, Printing, Stickers. Bookmark the permalink.